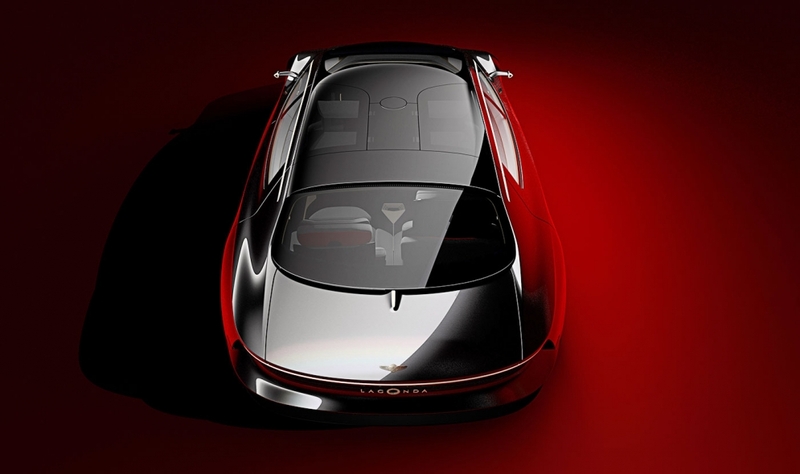 Aston Martin will launch Lagonda as an electric-only brand with the aim of breaking the duopoly held by Bentley and Rolls-Royce in the ultraluxury sedan market. 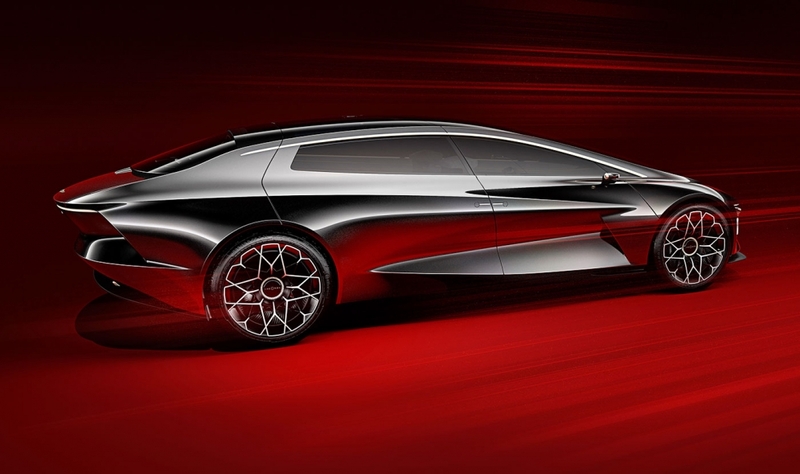 Aston Martin previewed the revived brand's styling at the Geneva auto show on Tuesday with the Lagonda Vision Concept sedan. 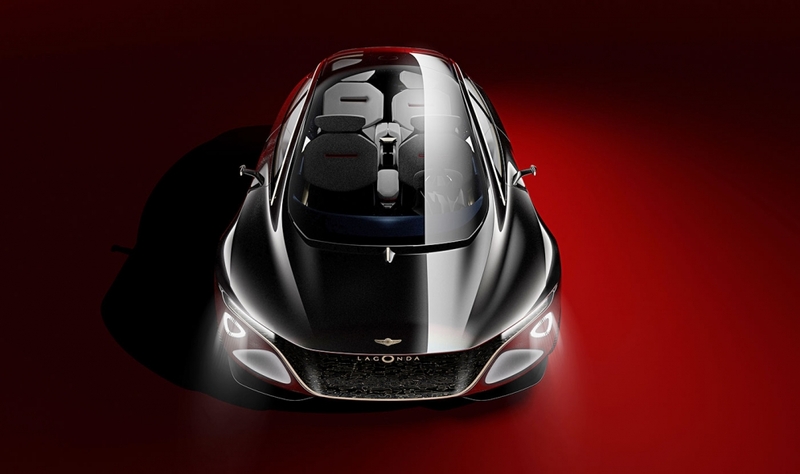 The Vision's radical look with its short hood, long cabin, and roof-hinged rear doors was a deliberate attempt to shake up the traditional luxury sedan shape, Aston Martin CEO Andy Palmer said. 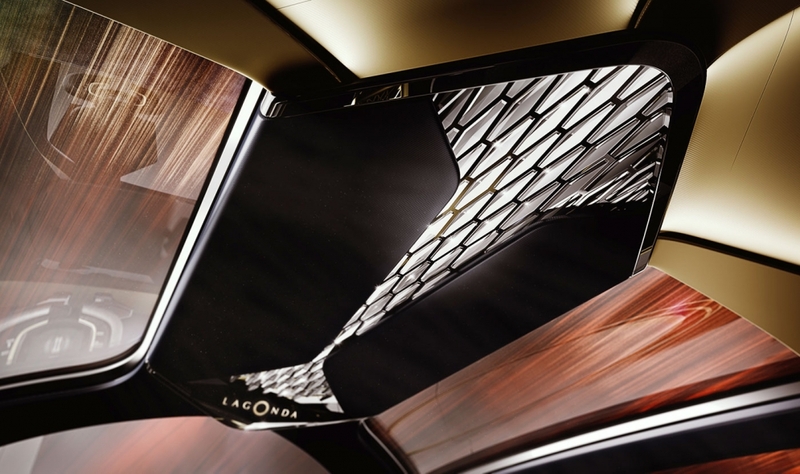 "Lagonda exists to prove that being modern and luxurious are not mutually exclusive concepts," he said. 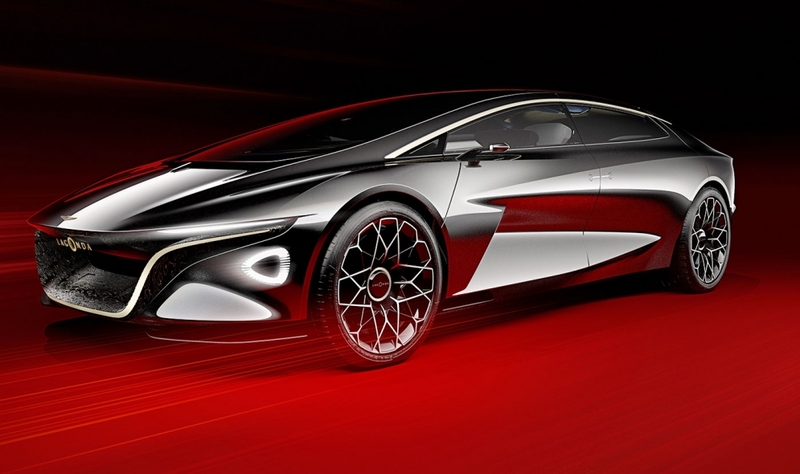 Production is planned to start in 2021, Aston Martin said in a statement. 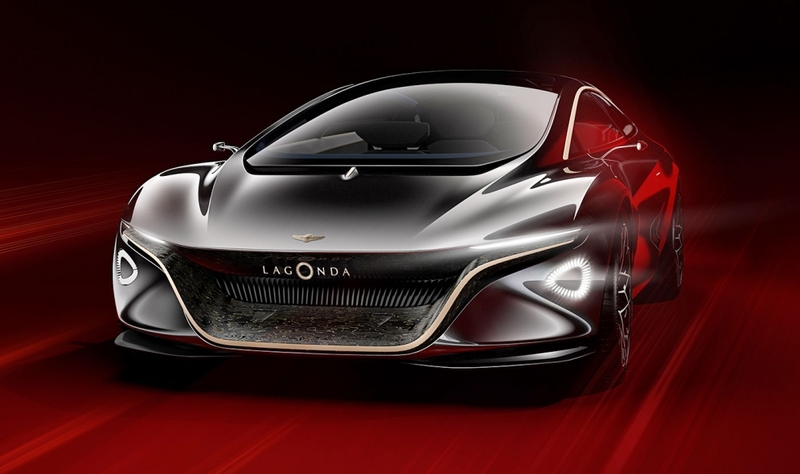 The Vision is a "near future" study that previews the design language that could potentially be seen in production Lagonda models, the automaker said. 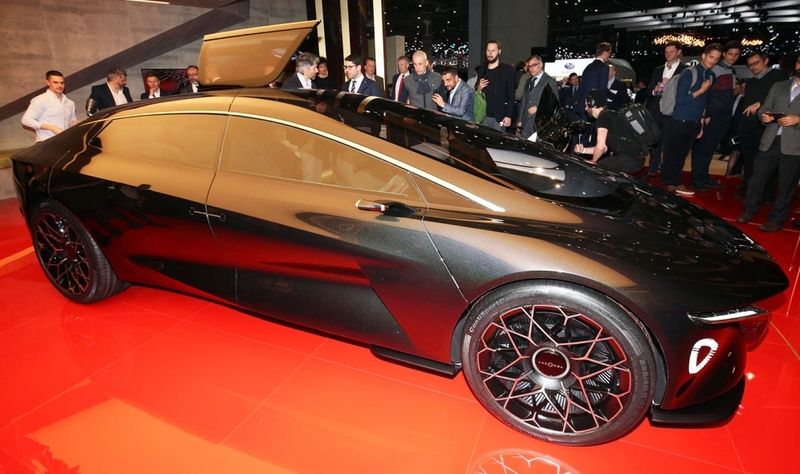 Aston Martin also showed two 40 percent scale models, a coupe concept and an SUV concept, to illustrate how the Lagonda design language could be adapted in the future. Most Bentley and Rolls-Royce buyers are more conservative than Aston Martin's traditional sports car customers. Aston Martin believes younger car buyers in markets such as China are more open to a new approach, hence the need to break the three-box mold. 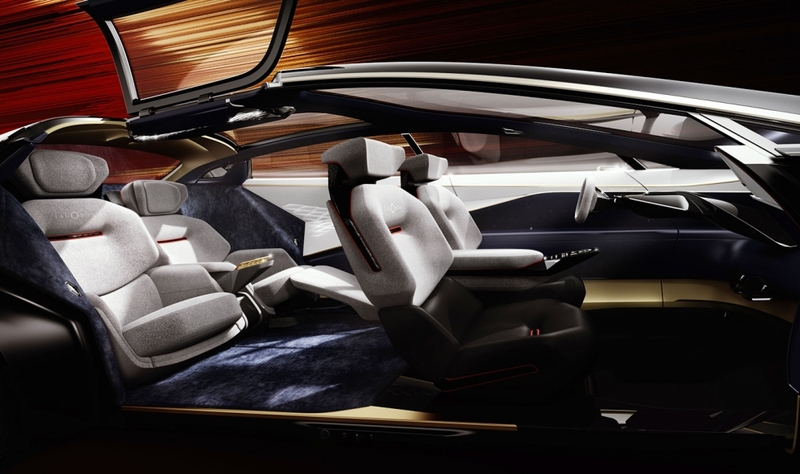 The Vision concept car uses solid-state batteries positioned under the floor to give a range of 644 km (400 miles), Aston Martin said. The position of the batteries gave Aston the opportunity to redesign the car to maximize cabin space and make it ultra-luxurious. "Because we have no intention of putting any internal combustion engine in the vehicle, we can style it in such a radical way," Palmer told Automotive News Europe. The lack of the long hood allowed Aston Martin keep the interior space of a traditional ultraluxury sedan in a relatively compact body. "In rough numbers, you could custom a Rolls-Royce Phantom interior within a 5.3-meter long package," Palmer said. The Phantom is 5.8 meters long in its standard wheelbase version. 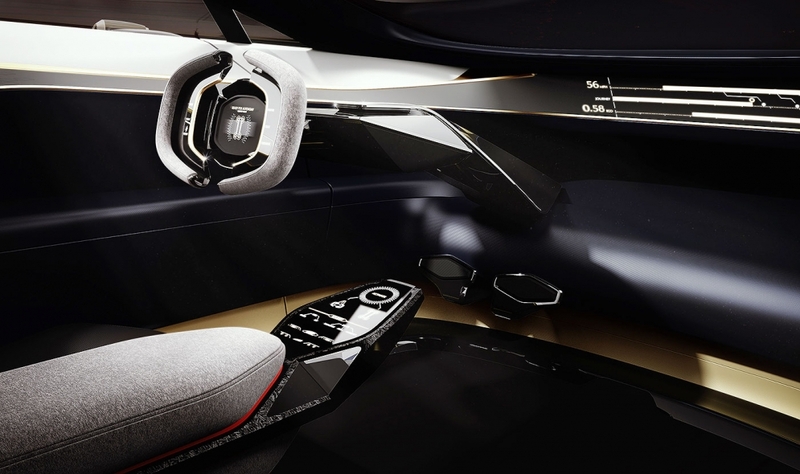 The Aston Martin concept's interior has been created with the help of British furniture designer David Linley and mixes luxury materials not normally used in cars, such as wool, silk and cashmere. 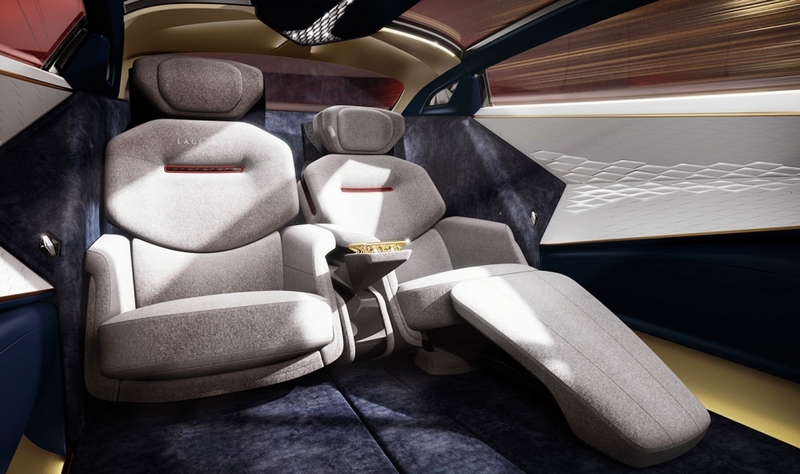 The seats are more like armchairs, while the top-hinged rear doors incorporate part of the roof to allow rear-seat passengers to stand up before stepping out. 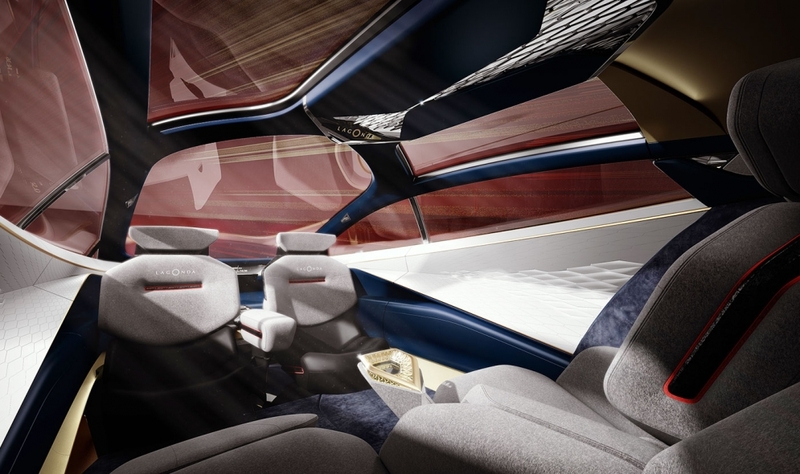 The concept has been created with a Level 4 autonomous driving capability when driver attention is not needed. Its steering wheel retracts into the dashboard when it's not needed. Palmer said he was "dubious" that the technology would be ready for 2022 when the car is likely to go into production, but said it would be equipped with the sensors and technology to be ready when Level 4 finally arrives. Aston Martin is likely to take the autonomous hardware and software from its technology partner Daimler, but Palmer said he hadn't started discussions with the Daimler. Aston Martin is renewing its lineup. Later this year the automaker will launch the Vanquish supercar to slot above the DB11, while the DBX SUV will arrive next year. 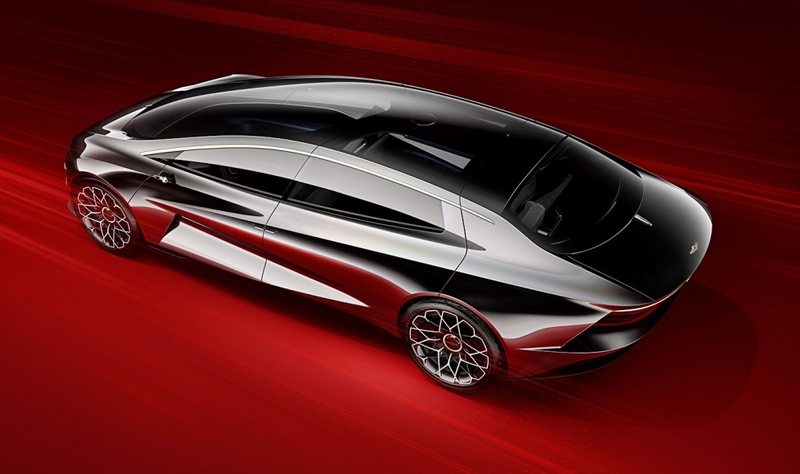 A mid-engined supercar follows in 2020. The Vantage entry-level sports car was revealed to journalists late last year and has its auto show debut in Geneva. Aston Martin bought Lagonda, which was established in 1904, in 1947 but stopped building Lagonda cars in 1958. The name has been used on just two Aston Martin designed production cars since.